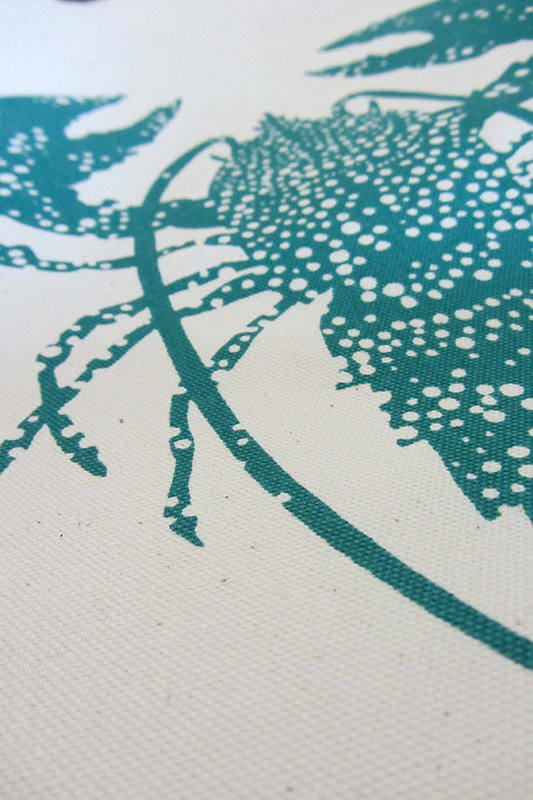 Design is hand screen printed in teal coloured environmentally friendly water-based ink onto a lovely quality heavy cotton canvas and finished with a woven tag in the bottom corner which displays the artist's name. 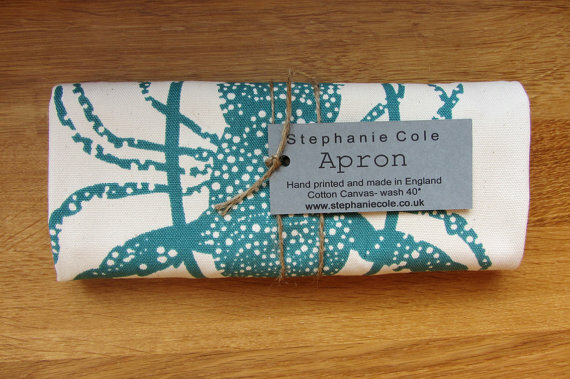 Apron is full length and fastens at the back with long ties for a great fit. The perfect gift for a foodie, both male & female! Comes smartly tied with twine and labels.